ALEKS (Assessment and LEarning in Knowledge Spaces) is a research-based, web-based, artificially intelligent assessment and learning online math program for grades 3-12. ALEKS provides the advantages of one-on-one instruction 24/7 for a fraction of the cost of a human tutor and is accessible from virtually any computer with Internet access. ALEKS uses adaptive questioning to adjust the learning modules presented. A placement assessment is used to determine a student’s knowledge in a course, and periodic reassessments help ensure knowledge retention. ALEKS is web-based and accessible on both Windows and Mac systems. ALEKS is a division of McGraw-Hill Education. Cons: Program is written a bit boxy. I have to go into quizzes and adjust grades. If answers aren't submitted the way the program is written it will count it wrong even thought it's correct. Exp: If the answer is 3+2+2+3 but yours is 2+3+3+2 it will count as wrong. My daughter just started in Aleks at the end of last month. She is rapidly progressing and all her knowledge checks show her growing. This program is no more expensive than other good ones are. She seems to like it b/c she does not like much fluff and wasted time. She is good at math and loves it. It seems that one person left multiple bad reviews b/c they really loathe this program. This is not actually helpful to others looking at reviews and very noticeable in how it was written. One program will not work for everyone. So far so good for us. We changed from Teaching Textbooks in Geometry and she was a bit behind where she should have been but catching up quickly. It was literally the worst experience of my life, I highly suggest ANY other program, it is time consuming, it has poor explanations, terribly designed, some of the topics are impossible to complete, and you become more stressed out and frustrated than anything else. I would not ever suggest this program to anyone. Pros: Independent work (does not require Mom). Continuous feedback = effective/efficient learning. Robust coverage of subjects. Moves at the student's pace (never too fast or too slow). I could not be more confused by the negative reviews I see on this website. 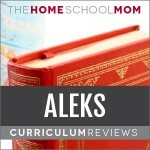 Aleks.com is a fabulous curriculum for homeschoolers to utilize. I have used Aleks for three years with a son who struggles with math and we have seen almost unbelievable jumps in his mathematic abilities. I have used Aleks with another son who is very gifted in math, and seen him soar 2-3 grade levels above his own grade. My daughter has used Aleks to prepare for SAT and AP Chemistry tests with much success. Did I mention that Aleks self-corrects, giving constant and continuous feedback in real time to students? This is so valuable to effective learning! Aleks is very thorough in its coverage of elementary, middle school, and high school subjects. If you need a meaty math curriculum that covers subjects fully, I could not recommend Aleks more. Cons: It’s really annoying it gets stuff wrong it won’t let me go on it glitches. This system is the worst math system that I have ever used. I can use the same numbers that ALEKS used and get the same answer that it got just by using a different method and it would still get counted wrong because it wasn’t done in the form that ALEKS prefers. VERY POOR explanations. If I didn’t have a professor to ask questions I would never learn my math on this site. The worst thing about it is that it makes you start over if you get one answer wrong!! That takes up so much time and makes me feel like giving up. I would not recommend this site to anyone! Pros: Learn at your own pace, informative, caters to your learning level. I enjoyed using aleks. I thought that it was real informative. I actually learned some things that I had forgotten and also learned some things that I didn’t grasp in high school. I despise the Aleks math program. I was forced by my college to spend $120 on this program as a class requirement, and if I could get my money back I would. It is time consuming because if you miss a question, the program punishes you and takes points away. What is the purpose of that except to waste time? The explanations are poor, and sometimes it will count my correct answers as wrong. Half the time, the calculator doesn’t even work. Don’t waste your money on this horrible product like I was forced to. Cons: Frustrating, punitive, time-consuming, poor for complex topics. Frustrating and Punitive. Black hole for time. I used Aleks Chemistry in College, hated it, felt like it hindered learning for a complex subject. Aleks might be ok for low level math, but not for any subject requiring multi-step complicated calculations because with a single error, this program not only doesn’t progress, but takes away credit for previous correct answers. Horrible design – for lazy teachers – your child will hate you for using this. This program is a huge problem for gifted children, for example, my child is in a gifted group called MOSAICS and he and his other friends in MOSAICS don’t understand why it takes so much time even if you already know it and if you make a single mistake on a knowledge check you have to do it all again. Okay, listen here, whoever made this site is someone who has no regard for the kid in the progress, the entire thing is just a big frustrating jumble of poorly explained math lessons, and ONE mistake in a lesson can make you redo the ENTIRE LESSON! What’s more, every so often, you get something called a knowledge check. This is a thirty question test where ONE SIMPLE MISTAKE can lead to FIVE ENTIRE QUIZZES OF QUESTIONS TO BE GONE! This makes it IMPOSSIBLE to finish ANYTHING. Also, this website, again, cares nothing about the kids and IS JUST HERE FOR YOUR MONEY. This leaves a gaping hole in your wallet that you could do SO MUCH MORE WITH, it’s insane! Also, when you use the app to monitor your children, you can’t even tell what your kids are doing because the data readings are SO CONFUSING, and my child has not learned anything from this. The lessons are hard to understand for my kid, and the explanations do not help. I know that schools give it for free and it sponsors global warming prevention and all that stupid stuff, but really, it’s a careless mess made by a money hoarder. I personally guarantee that YOU AND YOUR CHILD will HATE THIS. Pros: Learn at own pace and schools except as knowledge learned! Cons: can be time consuming + those knowledge checks YIKES! Having parents who understand math gave me a super strong foundation and understanding in math to began with. I worked hard starting Algebra. Giving up part of my summer to study Algebra 1 for 5weeks in a camp. I than took Algebra 1 that school yr. I have also studied on IXL and Khan. this will allow me AP CALC BC for 11th grade. No program will be successful if you do not have a good foundation in math. Best of Luck and I recommend the Demystify Math help books. O.K. This is a shout out to all of the parents and students out there. DO NOT turn ALEKS down for just what other people “complain” about it. I am a High School Freshman, and I was given the ALEKS account for free because my Middle School had a license for it. I was the only kid to get one hundred percent in my “pie chart”, so I was given a free Geometry account (since that I was doing Algebra 1 a the time. And there has been percentages taken at my old school, and it was proven that if you did the Aleks Program, then you had a better chance to pass the EOC. I, personally, only missed three questions, the highest score in the whole school. IT gave me experience on the way that online classes worked, thus brining me to taking Algebra 2 online using FLVS. You see how far it brought me? Now I understand that the program does cost money, but it is worth it because whether your kid struggles in math, is falling behind in the subject, or just wants to get ahead, this is the right program for you to watch as your student succeeds. Because ALEKS is not a chore, its the abitity to succeed. Cons: Explanations are sometimes lacking clarity. I personally used this program several years ago as a part of a hybrid math class I was taking (half online/half in the classroom). It was for a college level math course. I absolutely loved Aleks. Now admittedly, I did a lot of work outside of the program to understand and solidify concepts. This program is great as a top notch diagnostic tool and once you understand the concept, the practice and explanations are great. You can’t count on this being your ONLY resource for math. However, I feel that’s true with most any subject, having a few resources to pull from is important and beneficial! My child likes Aleks … He likes seeing his progress and he loves filling in his learning ” pie”. My son is advanced in math and has clearly outrun me. The student is not limited to one grade level! If my son advances a grade level mid semester he can start the next one. He has covered 3 grade levels in one semester. The placement test is good finding gaps and already learned knowledge. It is by far the easiest math curriculum to supervise at home. I do not understand the negative reviews – maybe they are for the college math programs? The Elementary and Middle school version is great and easy to understand for the kids. The best thing is that the kids seem to like it. 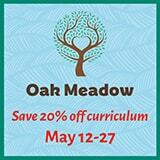 I know several homeschool families who use it and it works well and is popular with the kids. Cons: It drains the fun out of my child. I just posted a review using my cell phone. And when I read what was posted, the phone reset my words to its own. It is full of grammatical errors. But nonetheless I am sure everyone will understand what I said. Its an example of what I encounter from young people today when they have graduated from the school system. Because you have used computers to teach your kids, they are now speaking computer languages and their human interactions is at a all time low using normal human feelings towards other people. The ‘we are in the computer age’ is just a lame excuse for teaching the kids general human learning and technique. Its sad, when I hear people been interviewed on tv using ‘omg, lol ‘ etc letters lazily instead of normal words expression with educated normal words. This system is not for a regular school setting, when this is done the kids are not taught by normal human class interaction teacher-students. Notice I use the students plural. I returning to college and the Alex program is used for math. Its the most frustrating and unrewarding teaching technique I have ever seemed . Your not been taught, but instead tutored.. There are people I the class that are taking it for a second time. I can believe that our schools are using this on our kids and grandkids. No wonder so many scraped by I high schools and ended up in college taking the course more than once. People your kids are not been taught but only tutored. And they leave, barely making it in high school and college. No wonder I see them all over and in jobs and are so illerate and talking crap. They cant write, read or comprehend using their own fingers and brains. I love how it shows the child’s progress in a pie chart.. Parents set up their own accounts to view child or children’s individual progress. Aleks also does its own assessment tests or you have the option of doing additional quizzes and tests. You can also print out worksheets. Aleks is great for my son. 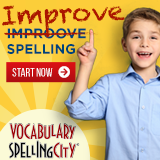 He is 4th grade, self-taught and does not need a lot of repetition to learn. He has already completed 4th grade math and is almost complete with 5th grade math. My daughter who is in 3rd grade has a harder time with it. She likes math but needs lot of repetition and visual aids to help her understand concepts. She is not self-taught. I am considering going another way for math with my daughter. Love that they give a full two months free! I like the pie chart that shows your child’s progress, improvements, etc. I like that you can print off worksheets if you choose. The quiz that ALEKS generates at your request goes perfectly with what your child has been working on. My son (8th grader) started using ALEKS math last year for pre-algebra and is using it again this year. We travel quite a bit, so it’s nice to take the iPad or laptop with us and not a big, heavy textbook. We (and his teacher) enjoy the print-out which shows how much time he has spent on the different subjects, what he has mastered or needs work on. The only complain I have about ALEKS are there are no videos. It would be helpful to hear or see a person explain a lesson. We usually end up going to youtube or accessing the textbook’s video to explain an area he needs help understanding. I signed up for the free 2 month trial and now we’re hooked! My boys really enjoy watching their progress in the pie chart. I like how the program hones in on the areas they need work in and doesn’t waste their or my time by repeating the concepts they know. My children advanced at a rapid rate when we used Aleks. They especially appreciated being able to see charts and lists representing their progress. There are not that many bells and whistles as far as illustrations go, but the lessons are academic and clear. Great program would never go back to any other math programs. This one makes sure your kids are learning math and won’t let them go on if they are struggling. Lets kids work at own pace. We spend 45 – 60 minutes daily on it.